In a typical markdown phase of a market cycle, it is quite common for a distribution trading range to break down through the bottom, see a strong drop in price, and then see a rally that leads to a retest of the lower limits of the prior distribution trading range. The markdown from the top of the market cycle has been well defined by the red, dotted channel sloping downward in the image above. This current rally has the price pushing beyond the limits of the channel and shows a break of the current downward trend. One thing that should be noted however is that a breakdown of a downward trend doesn’t necessarily mean that it will become an uptrend. It’s entirely possible that a break from the downward trend could lead into a consolidation period that yields a new downward trend — we’ve seen this time and time again. A bullish case for this trading range could be considered if we manage to break above it and find support on the top of the trading range. This sign of support would be a bullish signal to the market that we are no longer interested in lower values and that the market is ready to continue its markup campaign. However, if we break above this trading range and fall back inside the trading range, it would be a very bearish sign that the we are actually forming another distribution trading range, indicating that the top of the current rally is over. At that point we could expect to begin a new markdown campaign in the following days and weeks. Thus, this current resistance level is pivotal and will serve to mark either the end of the uptrend or the beginning of an even stronger move to higher values. 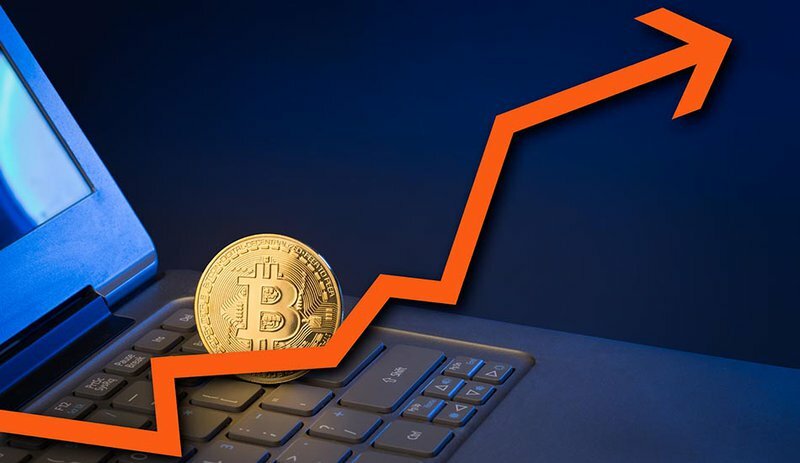 Bitcoin has seen a strong rally since it bottomed out around $6,000. Currently, it is finding turbulent market activity as it tests well-known and established resistance levels. If we manage to find support on the trading range outlined in Figure 3, this will be a strong indication of a continuation to higher highs. However, if pushing upward we don’t find support on the top of the trading range and manage to fall back inside the trading range, this is a strong bearish signal that a potential markdown in price is in store in the next few days and weeks.